I get nervous enough when this happens to white, middle-aged me. What must it be like for a black or brown driver? Sometimes professionals make things worse. In January 1997, a month into my second marriage, I had a panic attack that lasted all night. My heart was racing, I was unable to sleep, and I had pain in one arm. I finally asked my new wife to take me to the emergency room in McMinnville. What followed was a 36-hour cascade of unintended consequences as doctors treated symptoms with drugs that caused other symptoms that had to be treated with more drugs until, finally, I had to be admitted for the night--something that had never happened to me before, nor since. In the end, I was fine physically; and in retrospect, I came to pin the incident on a growing awareness that this hurried rebound marriage had been a horrible mistake. And the whole thing could've been avoided if one of those doctors had taken a few minutes to interview me about my emotional state. The mind and the body are far more intimately connected than doctors of the 1990s realized. I was lucky. All I had to show for my adventure was a hospital bill and a lost weekend, but it could've been much worse. I've read and heard stories of people who went into hospitals for routine or minor procedures and wound up seriously impaired, or even dead, from surgical errors and unforeseen complications. Here's a second story of me being lucky: five years ago (give or take), I was hurrying to get from a band rehearsal on the far side of Vancouver to the ComedySportz arena in northwest Portland. Traffic was heavy, but moving well, and it looked like I'd make it to the arena in time for the last hour of workshop. Just before I reached the I-405 exit, I saw a motorcycle cop who, having just finished writing a ticket, was signaling to get back into traffic from the shoulder. I had just seconds to decide what to do. I couldn't get into the left lane, so I tapped my brakes, slowly slightly as I passed. Moments later, I saw lights flashing in my rearview mirror, and pulled over on the shoulder. I turned off the stereo, pulled out my license and registration, and sat nervously, waiting for the cop to come to my window, then was startled when he rapped loudly with a metal object (Flashlight? Nightstick? Keys?) on the passenger window. I rolled it down, and sat meekly, taking my medicine, as he lambasted me for not slowing down enough to let him into traffic ahead of me. I apologized vociferously, and once his tirade was completed, he let me go. I was lucky. All I had to show for this adventure was embarrassment and the post-traumatic stress I feel whenever anyone lets me have it verbally. It could've been much worse, of course, but I had a huge thing in my favor: I'm a middle-aged white man. The internet is aflame today with reactions to another incident of police killing an African-American man who posed no immediate threat to them. Alton Sterling had been selling CDs outside a convenience store in Baton Rouge, Louisiana, when police approached him. At some point, they became aware he was carrying a concealed gun, and even though they had him pinned to the ground, shot him to death. Watching the disturbing cell phone video of the incident, it seems clear that this was a routine incident that rapidly escalated into a shooting. Later in the day, in St. Paul, Minnesota, Philando Castile, an African-American driver who had been pulled over for a broken tail light, was shot to death when he reached for his driver's license. Alton Sterling and Philando Castile were just the latest in a centuries-long procession of persons of color dying in the custody of police. For most of the history of such incidents, most of them were state-sanctioned, race-based terrorism: persons in position of authority keeping marginalized people in their place with violence. In the decades since the 1960s, law enforcement agencies have increasingly come under scrutiny from both civil rights organizations and the federal government, and the consensus has finally begun to take hold that racism should be a disqualifying trait in any candidate for a police force. And yet the litany continues: black and brown persons continue to be pulled over far more often, to be challenged on the street far more often, to be restrained and beaten and shot far more often, than white persons. I'm going to surprise you now: while I do think color is a factor, I don't think it's the only one. As I noted in the story of my hospital experience, unintended consequences can escalate a minor incident into something far worse. I've seen this as, for the last three years, I've taught music to children who live in poverty. While most of my students were children of color, that was not, in and of itself, a predictor of how they behaved in class. Some of my most cooperative children were black and brown; some of my most difficult were white. What almost all of the tough kids had in common was not race or ethnicity, but poverty, and the trauma that often comes with it. In a stressful situation, children who've grown up with trauma will often retreat from the stress, closing in on themselves, attempting to hide. They may try to distract themselves by ignoring the stimulus, perhaps drowning it out in conversation with others. This can lead the instigator of the stress--whether it's a teacher, a shopkeeper, or a police officer--to turn up the intensity, leading to a cascade of reactions, counter-reactions, over-reactions, and finally violence. With experience, teachers learn when to back away, when to redirect the fight-or-flight energy, and, when necessary, to respond to a confrontation in ways that are both firm and gentle. In a word, we learn to de-escalate. Ideally, our "peace officers" would be doing the same thing, and I'm sure there are many of them who do. I have to wonder, though, in our heavily armed country, if maybe it's having the guns in the first place that causes so many routine stops to turn into shootings. Alton Taylor was carrying a gun because he was afraid of being mugged; just the perception that he had the gun led the cops to shoot him. Philando Castile didn't even have a gun, but the perception that he was reaching for one led to his own death. In a culture that arms so many criminals to the teeth, it's not surprising that so many cops go into confrontations assuming the suspect is packing, and respond accordingly. Our culture must move past the shock-and-outrage phase on both gun violence and police shootings. As long as we're in a reactive mode, repeatedly expressing our anger and grief, we're not going to get anywhere. Yes, we have to acknowledge the mind-numbing stupidity of our gun culture, and horrifying injustice of so many black and brown people being treated so differently from white people, and let that feed our desire to make the changes necessary. Unfortunately, most of what I see after these incidents is outrage (well, that and the usual rush to "thoughts and prayers" from legislators who aren't going to do a damn thing to fix the problems). We managed to build a national consensus around marriage equality. It's time we channeled our frustration over these issues into a movement against gun violence. We need to back away from the insane libertarian gun lust that puts lethal weapons in the hands of irresponsible and untrained people. Beyond that, we need to move past the myth that guns make anyone safer. Five days ago in Sarasota, Florida, a veteran gun enthusiast, steeped in gun safety, had a momentary lapse in judgment that killed his 14-year-old son. He blamed himself, not the gun; and of course, there are tragic accidents that happen with many pastimes (including my own beloved hiking, cycling, and running); but I can't think of any pastime as potentially lethal to participants as owning and using firearms. Reducing the number of guns in circulation can't happen overnight: there are a hundred million of them out there, many of them owned by people who believe it is there absolute right to have them, and are fiercely opposed to giving them up; and the gun lobby is far more visible, organized, and powerful than the anti-gun movement. That's why I think it will take years, possibly generations. But it's something we have to do. No constitutional right is worth this many unnecessary deaths. Our police need to take the euphemism "peace officer" seriously. In many jurisdictions, police forces are called "departments of public safety." In recent years, many cities have moved toward community policing, trying to make cops active participants in the lives of their own neighborhoods, and that's certainly a move in the right direction. But shifting police culture from confrontation to de-escalation will take considerably more than reinstituting the beat system. Gun violence cuts both ways: nationwide, 42 police officers were killed in the line of duty in 2015. That's a reduction over previous years, but it's still far too high a number--though nowhere near the 1186 people killed by police that year. 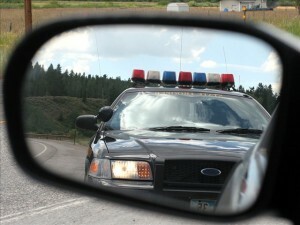 Still, when pulling a vehicle over for a traffic violation could be the last thing a cop does, there are going to be some who react at the first hint of a suspect reaching for a gun--even if there's no gun to be reached for. De-escalating this national crisis will take more than sensitivity training: police need to feel safer. That means, again, cutting back on the number of firearms in circulation. At the deepest level, though, it means building relationships across historic divides. So many of us still live in segregated neighborhoods, attend segregated churches, send our children to segregated schools. It's not 1950, and none of these places is institutionally segregated; but humans prefer to affiliate with those with whom they have something in common. This is the growing edge at which our nation has always been, and always will be, a work in progress. In many ways, it's getting better: we finally had our first black President, and it seems very likely he'll be succeeded by our first woman President; our Supreme Court is as diverse as it's ever been, and likely to become even moreso under President Clinton; and LGBT people are being accepted and affirmed in more places all the time. At the same time, though, there's been a terrifying re-entrenchment by older white Americans, and it will take all our best efforts to keep the Trump phenomenon from becoming a setback for us as a people. All these cultural shifts will take time. While we're working toward them, innocent people will continue to die. Getting the guns out of our homes, getting our cops to be safer and less reactive, getting people of every ethnicity to see each other as neighbors rather than threats, is work on a scale that makes a mission to Mars look like kids' stuff. And now that I've mentioned kids' stuff, I'll finish this essay with that which gives me hope. Changes like these I'm proposing are incredibly hard for older Americans like myself to make. For children, though, it's as simple as putting them in a room together. For the last three years, I've seen children ignoring all the boundaries of race, culture, language, religion, and socio-economic status. They just don't care about these things. Their friends are whichever other children they enjoy playing with. It's a beautiful thing, and I'm going to miss it as I go now to teach in a mostly white suburban school. What it tells me, though, is that all the fears and prejudices that hold us back from being a safer, more accepting nation are learned things. Our violent culture has been teaching us to escalate. If we can learn that, then perhaps we can unlearn it, as well. It may be as simple as refraining from teaching it to the next generation of children so that those of them who become cops--and those of them who find themselves confronted by cops--can keep their cool and deal with each other as fellow human beings solving a problem.